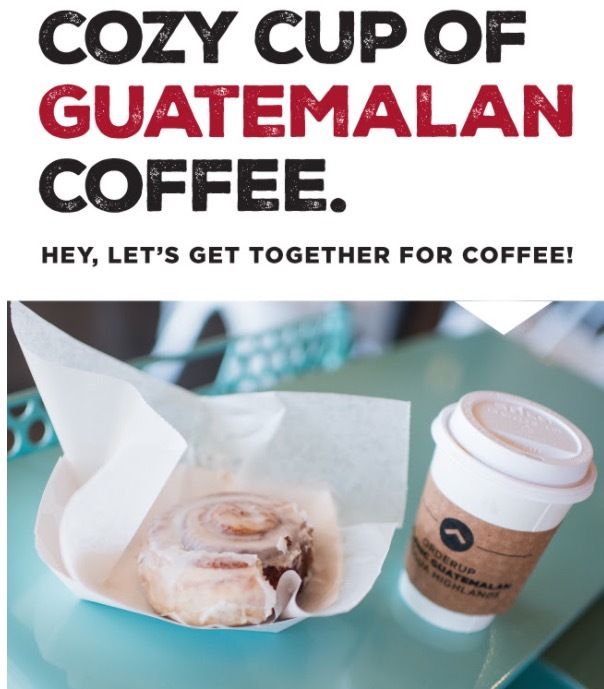 Savor one cup of Organic Guatemalan Brewed Coffee FREE with a purchase of equal value. Valid thru 02/07/17. Present email printout or show on your phone at the register.